Designed to activate the blade 3X faster than a 2-handed opening, the Fastback Utility Knife features a one handed blade opening for easy activation. A tool free blade change allows for fast and efficient adjustments, while a thin body design makes it easy for a user to store the knife in their pocket. The integrated gut hook and wire stripper also increase utility. The Milwaukee Fastback Smooth Folding Knife features Press and Flip, a one handed blade opening for easy activation and activates the blade up to 3X faster than a 2-handed opening. A tool free blade change allows for fast and efficient adjustments and stainless steel blade with a strong lasting sharp edge. The Piercing Tip allows for controlled piercing and smooth cutting. 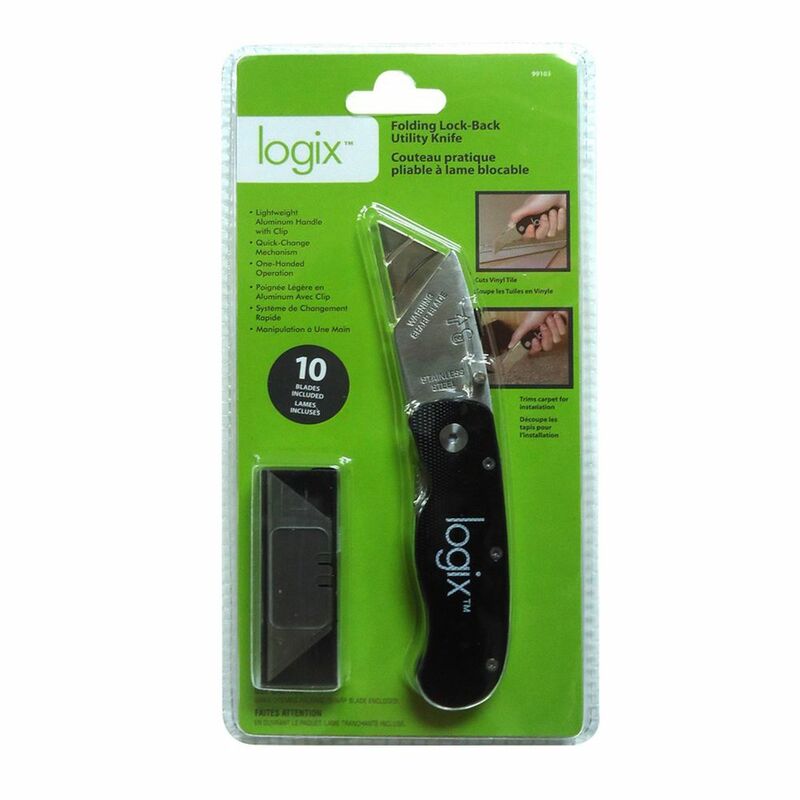 Folding Lock-Back Utility Knife The Logix Folding Lock-Back Utility Knife is perfect for the home, office or shop. Designed with a lightweight aluminum handle with clip, replaceable trapezoidal blade and spring blade release for one handed operation. Ideal for cutting vinyl tile and carpet.